Hi Capturing Joy readers! I am Ashley from Simply Designing and I am absolutely thrilled to be participating in Kristen’s Decorating with Pictures series! I am an interior designer turned DIY / Craft Blogger. My passion for interior design grew into a love of creating and one day I decided to start blogging about it! And I absolutely love it! I love power tools and my hot glue gun, but my sewing machine slightly scares me. I love life and find joy in the simple things! I love my family and friends and I am a firm believer that a good cup of hot chocolate or ice cream cures most things. I am grateful for all I have every single day. We recently created a Gallery Wall with a few very special family photos. You see, we recently lost our son at 28 weeks, and we miraculously happened to take family photos the day before we lost him. It was a true miracle and an amazing blessing in our life. We have the most amazing photos of our family now and I will forever be grateful for them! So we certainly did not want these photos to go to waste, so we took a huge empty wall we had in our family room and got to DIYing to create an amazing Gallery Wall to show off these priceless photos! 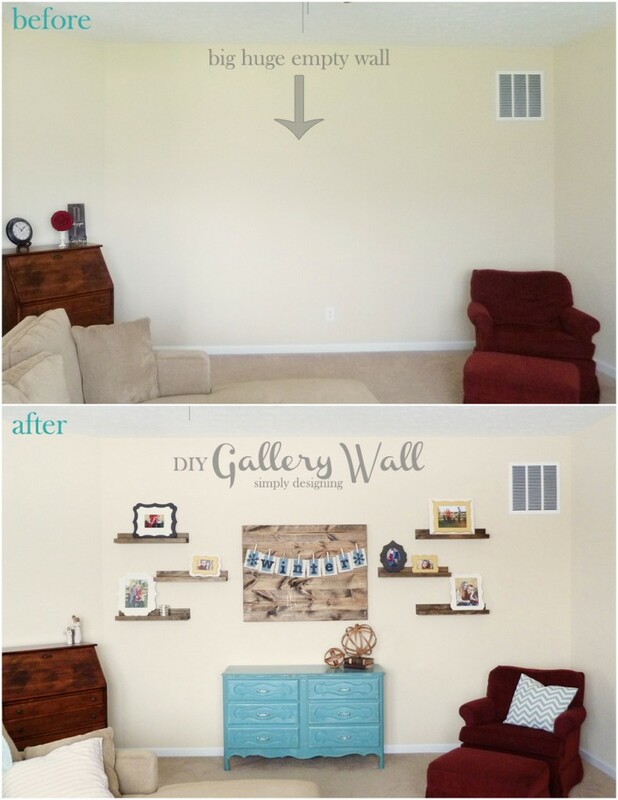 To see the full tutorial, come and check out how we put together our Gallery Wall HERE! You can also find me on Facebook, Twitter, Google+, Pintrest and Instagram too. Thanks so much Kristen for allowing me to be a part of your amazing series! Thanks, Ashley! Love how you filled that big empty wall with family pictures! To see past ideas for Decorating with Pictures, click HERE. 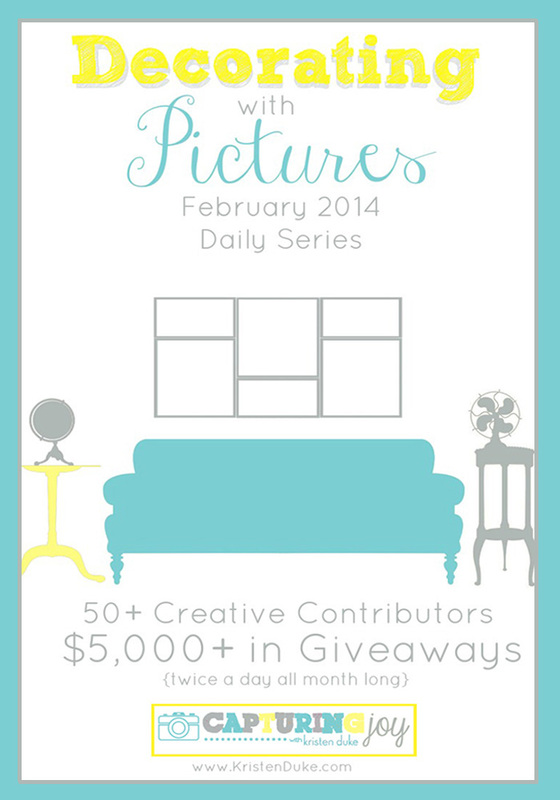 Today, we’ve got a giveaway from Riley Blake Designs! I simply LOVE their fabrics, I used them for the handmade Quilt and fabric pennant banner for my girls Fancy Room makeover. Today, they are giving away a Fat Quarter Bundle of fabric, Rolie Polie and 10′ Stacker that retails for $110.